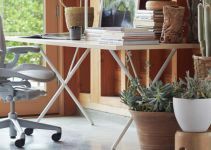 TOPSKY C4C-2 comes in our list of best ergonomic office chair in 2019, it’s the most usable chair which support 300LBs while its design offer comfort to any user even of varying heights. the skeletal back frame comes with covered frame with utmost density strength mesh, which allows the air circulation, also has a hanger on back which solves the problem of hanging clothes and bags. 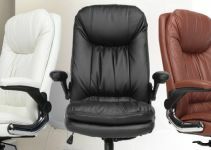 Headrest & a lumbar cushion allows you to adjust the chair in three different ways the The lumbar support is good, but the chair’s overall design makes it one of the best ergonomic chair of 2019 that anyone can tolerate all day without taking any pain pills, also come with adjustable soft pad arm rest to adjust on suitable height. High quality and high density strength mesh with thick sponge which offers supper stability. • Arm rests are very adjustable both sideways and up and down, in smaller then usual increments making it easy to fit any body and desk. • Mesh headrest is very adjustable and comfortable. • The seat is made with high quality fabric which gives more comfort. 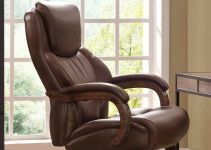 • The lumbar cushion is very good. • NO WASHERS for most of the screws, as you need them because the screw heads are a bit small for the holes. • Chair slowly but steadily declines down back.